Perhaps it is the lingering legacy of the Opium Wars, but China is definitely not onboard the drug de-criminalization bandwagon. The Mekong River massacre of Chinese merchant sailors only strengthened their national resolve. The real life murders of Chinese nationals and (more to the point) the subsequent hunt for drug lord Naw Kham inspired Dante Lam’s latest action spectacle Operation Mekong (trailer here), which opens this Friday in New York. Most of Gao Gang’s elite squad go by their Greek god code-names, but they just call him Captain, because that is what he is. In contrast, Fang Xinwu is a bit of a method actor-wild card. The intelligence officer has a highly placed informant in Naw Kham’s operation, but his troubled history makes him highly unpredictable. He also happens to be a master of disguise—a talent he will put to good use. Despite their personality clashes, they will work together to apprehend the drug trafficker and his top deputies, so they can stand trial in China. In addition to demolitions and surveillance experts, Gao Gang’s team also includes Bingo, a remarkably well trained German Shepard. She is definitely handy to have around, but don’t think this is a Benji movie, because it isn’t. Anyone on this team could go at any time, but at least Lam, the action master, will send them off with spectacular deaths. Lam also gives his current leading man of choice Eddie Peng a truly memorable entrance, in the Third Man tradition. 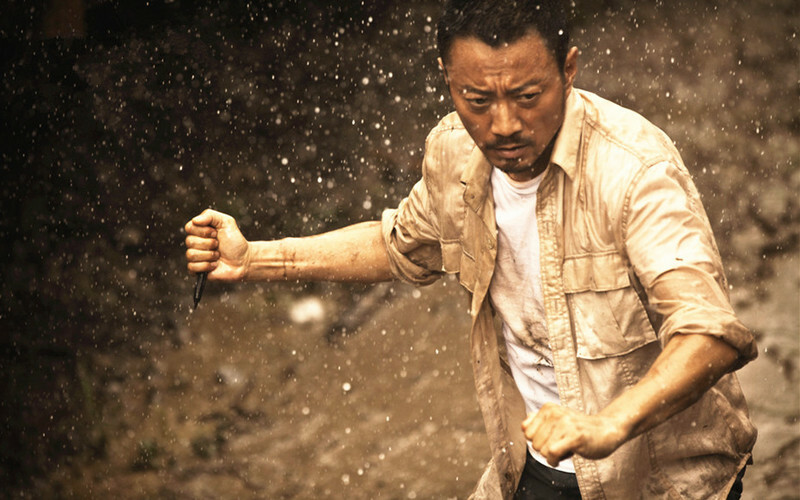 As Fang, Peng again proves he has matured into an action star with serious chops. Of course, few can ever hope to match the grizzled hard-nosedness of Zhang Hanyu, who does his thing with the deadpan panache. Lam puts them both through their paces in a number of cinematic yet believably grounded action sequences. Plus, Bingo upstages everyone in her action scenes, just like W.C. Fields warned. However, the villains never inspire much of an audience response, which is a drawback. Pawarith Monkolpisit is far too bland as the drugged out Naw Kham and Vithaya Pansringarm never gets to establish much character as the cartel rep looking to cut ties with their wildly unstable Golden Triangle sub-boss. Still, Lam unleashes some impressive chaos when Gao Gang’s team finally raids Naw Kham’s hideout. Operation does not have quite the heft and ironic gravitas of Johnnie To’s Drug War, but it definitely gets the job done for action fans. 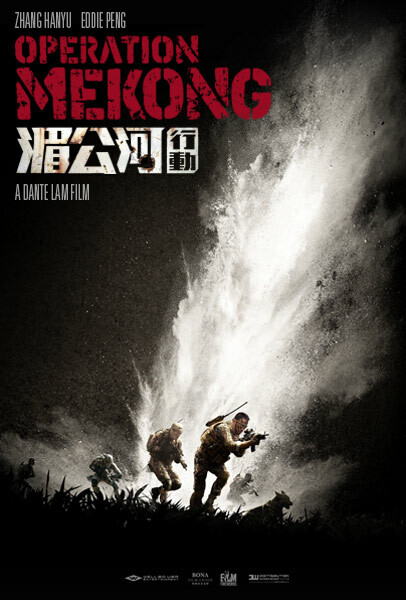 Recommended for those who dig Special Ops movies, Operation Mekong opens this Friday (9/30) in New York, at the AMC Empire.